Laney’s Inc. is a locally owned plumbing, heating, cooling, electrical, indoor air quality, and water treatment company that has been providing quality comfort services to homes and businesses throughout the Fargo-West Fargo-Moorhead area for more than 50 years. We have developed a very loyal customer base due to our commitment to quality products, workmanship, and service after the installation. Starting out as a small family business, Laney’s has grown to employ more than 100 employees ready to meet all of your comfort needs. Laney’s is also committed to ‘giving back’ to the communities and the areas that we serve by supporting many local non-profit organizations and events. We are honored to serve you. We're open 24/7, "8 to 8 at a regular rate!" to fit your needs. Our office hours are 8 a.m. - 5 p.m.
Wholesale distributor of electrical, lighting and home automation products for electrical contractors, lighting professionals and home automation technicians. Locally-owned and locally-operated. 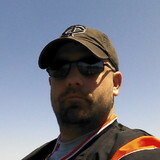 Mat's Electric LLC is a one man shop located in Moorhead, MN with 10+ years of trade experience. I take pride in providing high quality services while putting the customers needs first. 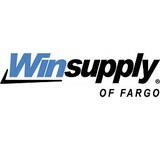 Winsupply of Fargo is a locally-operated wholesale distributor of electrical products. Winsupply serves trade professionals working in the residential, light commercial, multi-family, and hospitality construction and remodeling industries. Residential, Farm, Commercial, and Industrial new electrical installations and repair. 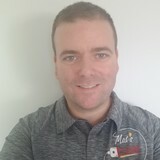 What do licensed Fargo electricians do? An electrical contractor plans, installs and repairs wiring in structures. He or she works closely with the home’s general contractor or remodeling contractor to determine the specific electrical needs for the project and to ensure that the wiring will meet Fargo, ND building codes. An electrical contractor’s job also includes installing and repairing fixtures, switches and other visible components of electrical systems. With today’s technological needs and advances, many electricians in Fargo, ND also are trained to install fiber optic and coaxial cables for electronic equipment. Certain electrical companies may design and install data systems and wire for security features such as alarms too. Some Fargo electrical contractors specialize in specific areas, such as HVAC, low-voltage appliances and systems and more, so be sure to ask about their training to see if it fits your project needs. Find a certified Fargo electrician on Houzz. 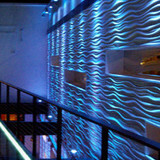 Narrow your search in the Professionals section of the website to Fargo, ND electrical contractors. Here are some related professionals and vendors to complement the work of electricians: Lighting Showrooms & Sales, General Contractors, Solar Energy Contractors, Heating & Cooling Sales & Repair.